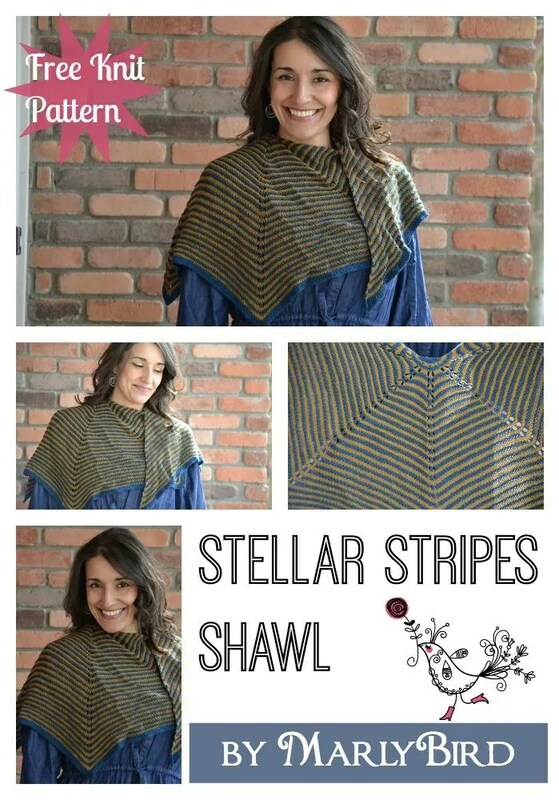 This free knit shawl pattern is one that I designed for the Winter 2014 issue of Love of Knitting. For that issue, the editor asked me to design a striped shawl that was on trend and could also be made in crochet. Mission Accepted! 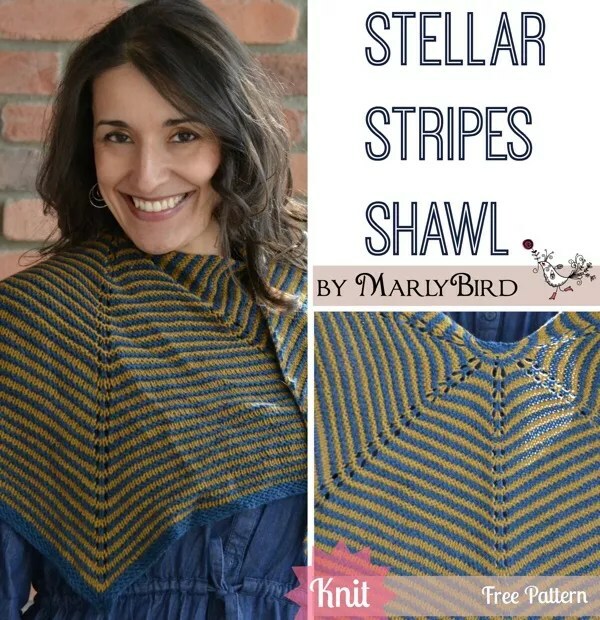 This pattern has gotten a lot of attention from both Ravelry members andFacebook Friends. Many of you have asked me when it would be available for purchase. Well, good news is that it is available now and it is FREE! 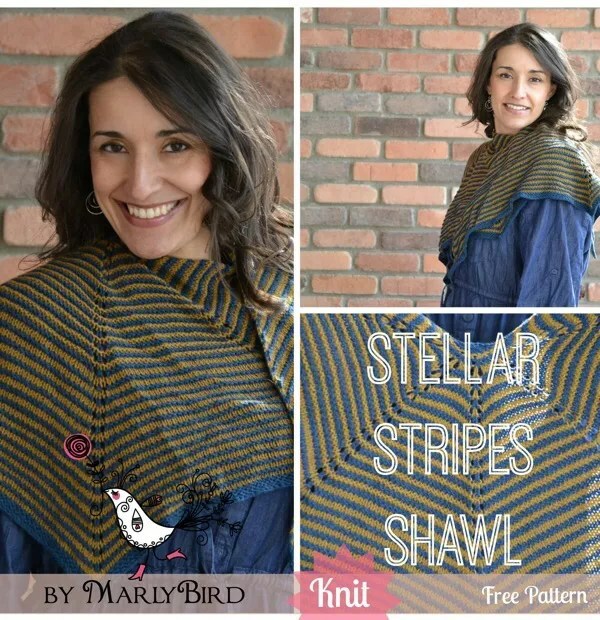 Let me tell you about the yarn I used for both shawls. 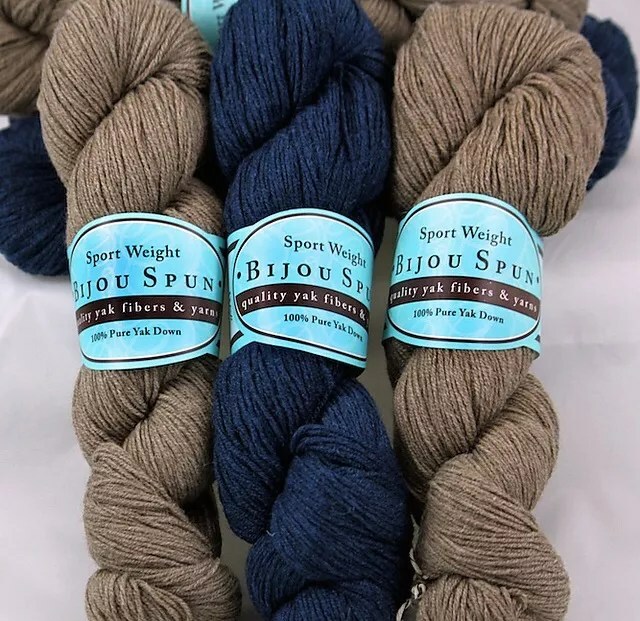 I got to use one of my favorite yarns byBijou Basin Ranch named Sport. It is 100% yak! The colors are rich and look lovely coupled together. No matter if you use the same two colors I used or mix and match from the other available colors. You can’t go wrong; and you only need one hank of each color! hanging at the edge, and carry it up when it’s time to use it again. full length of the sts. Using A, cast on 2 sts, and knit 2 rows. 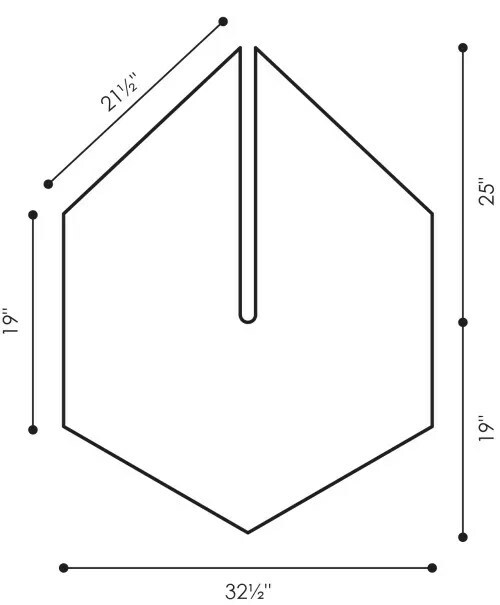 work 90 degrees, pick up 2 sts from cast on edge–5 sts. Row 3: Sl 1 pwise, knit to end. Row 5: Sl 1 pwise, knit to end. Row 7: Sl 1 pwise, knit to end. * 4 more times, yo, k3, yo, pm, k1–37 sts. Row 9: Sl 1 pwise, knit to end. other section, 2 edge sts. Row 1 (RS): Sl 1 pwise, knit to end. sts in last section, 2 edge sts. K2, * sl 2 to lhn, ssk, k1; rep from * until 1 st rem. Fasten off.